The Joint Admissions and Matriculation Board (JAMB) has listed 16 items including eye glasses and wrist watches that will not be allowed into the Unified Tertiary Matriculation Examination (UTME) halls. 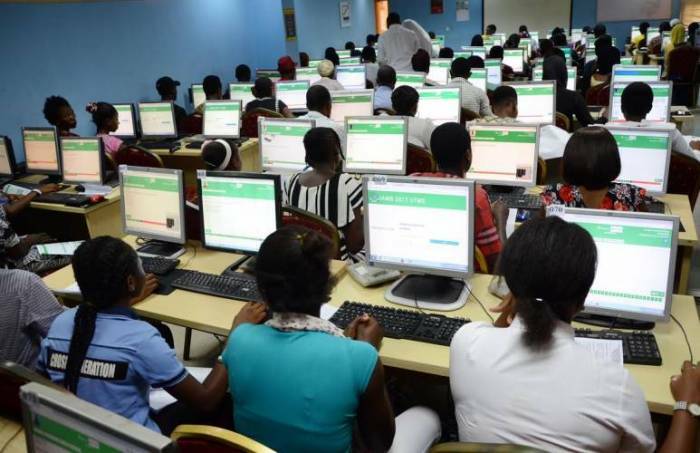 The secretary of JAMB UTME Monitoring groups, Ngozi Egbuna, made the disclosure in a memo to some civil society groups which will participate in the monitoring of the examination, Vanguard reports. The board however, stated that eye grasses worn by candidates on medical grounds would be thoroughly scrutinized by invigilators to ensure they were not for ulterior motives. The memo read: “Kindly note that examination officials are allowed to scrutinise eye glasses or similar devices and where convinced that such item may compromise the sanctity of the examination, the examination official should confiscate it. “Where examination official (board staff or ad hoc staff) or any authorised person is found with any of these prohibited items in the examination hall, such compromising action would be treated as a deliberate act of examination sabotage and necessary sanction will be applied. Meanwhile, not fewer than 500 admission seekers on Thursday, February 22, protesting the closure of the registration portal for the 2018 University Tertiary Matriculation Examination organised by the Joint Admission and Matriculation Board. Punch reports that the students, who stormed Bariga area of Lagos with placards on Thursday, complained that majority of them have not registered. The 2018 UTME examination is scheduled to hold between March 9 and 17, but the protesters requested an extension of the examination till May. 0 Response to "JAMB Goes Tough on Candidates, Bans 16 Items From Examination Hall (See List)"